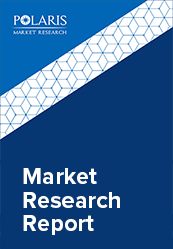 The global fatty acid esters Market is estimated to grow at a CAGR of 3.5% between 2018 and 2026. Increasing demand for different derivatives of fatty acid esters in wide range of end-use industries is expected to further augment its current demand over the forecast period. These products owing to their natural ability to stabilize emulsions are among the most important components of the personal care and food industry. Due to their emulsifying property, fatty acid esters especially the monoglycerides find diverse applications as components of nano and liposomal formulations for drug delivery systems in pharmaceutical industry. Fatty acid esters especially the methyl esters with properties closer to those of fissile diesel fuels than the pure vegetable oils have been currently used as substitutes for several chemicals used in the food and cosmetics industry. Properties of these products depend mostly on the category of vegetable oil. Different mixtures of these esters are generally referred to as biodiesel. Fatty acid methyl esters, which is one of the most common esters of fatty acid bears the similar physical properties as that of conventional diesel, with the advantages of being biodegradable and non toxic. Hence, with such importance in a variety of industrial applications demand for these products are anticipated to rise further in the future. The global fatty acid esters market is segmented based on product type, application and by region. By product segment, global fatty acid industry is further segmented into glycerol monostearate, medium chain trigylcerides, isopropyl esters (myrsitate & palmitate) and others. By application type, the industry is further segmented into lubricants, pharmaceuticals, personal care & cosmetics, surfactants and others. Glycerol monoesters were the largest product segment in 2017. These are synthesized from the glycerol and have several applications. These include its role as emulsifying agents for every variety of food, cosmetics, pharmaceuticals and even detergents. Monoglycerides are usually obtained from hydrolysis of triglycerides, glycerolysis or from direct esterification of the glycerol with several fatty acids. Industrial processes that are involved in its production normally use basic catalysts or homogeneous acids that lead to mixtures of mono-, di-, and triglycerides after direct esterification. Personal care is expected to be the fastest growing application segment for fatty acid methyl esters. This is owing to the fact that the rising concern for organic products and it’s significantly increase in sales over the past few years have lead to increase in demand for organically derived raw materials and these esters as the primary components of cosmetic formulations, its demand is projected to increase further over the next few years in the near future. The Asia Pacific fatty acid esters market is expected to be the leading market in the next few years. Increasing concern for a healthy life, rising focus on preventive health care and the fact that the regional industry participants are venturing into new application segments of organic or naturally formulated products, these factors are expected to be some of the driving forces for the fatty acid esters market. Several new product launches, under penetrated and unpenetrated market dynamics, numerous expansion activities within fatty acid ester manufacturers, rising purchasing power, surging demand for healthy and nutrient rich end-use products are the most important factors driving the Asia Pacific fatty acid esters market. Some of leading industry participants in the fatty acid esters market includes Berg + Schmidt, Alnor Oil Co. Inc., ongyan Zhuoyue New Energy Co. Ltd. , Emery Oleochemicals Group , P&G Chemicals , Wilmar International Limited , BASF S.E. , Archer Daniels Midland Company (ADM) , Cargill Inc.., KLK Oleo , P&G (Procter & Gamble) Chemicals, Cargill, The Seydel Companies, DuPont, Estelle Chemicals, Stepan Company and World Chem Industries.